The JL Audio XB-BLUAIC2-9′ Audio interconnect cables have a small diameter silver-plated OFC Copper conductor with Teflon dialectrics in a twisted-pair for optimal performance and sound. JL Audio purposely made the RCA Plug barrels short to assist with installation in tight spaces while a cable jacket helps with wire routing. Plus, there is an added bonus! There are now two cable management features in ALL Cables. One is the solid PVC Channel splitter with built-in screw down points while the second sliding screw-down point can be positioned to secure each channel pair at any desired location. JL Audio has been known for having high-quality products with unmatched construction techniques. JL Audio only uses the finest in materials to make sure that your audio signals reach you without added noise or interference. 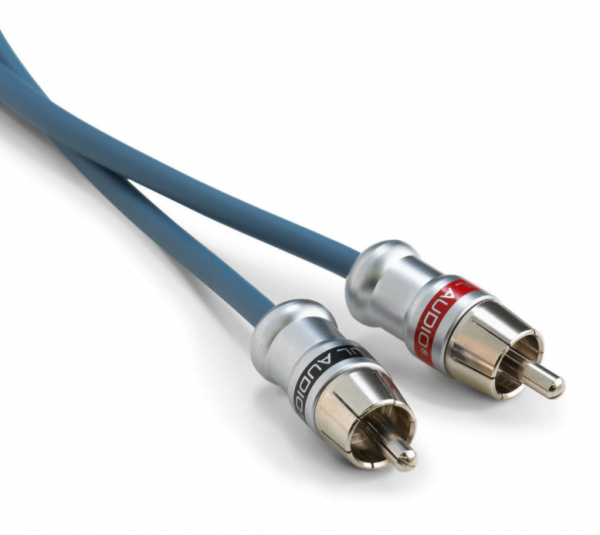 9 ft. 2-Channel Twisted Pair of Premium Blue Audio RCA Interconnect Cables with Machined Connectors. Oxygen-free copper conductors for maximum noise rejection. 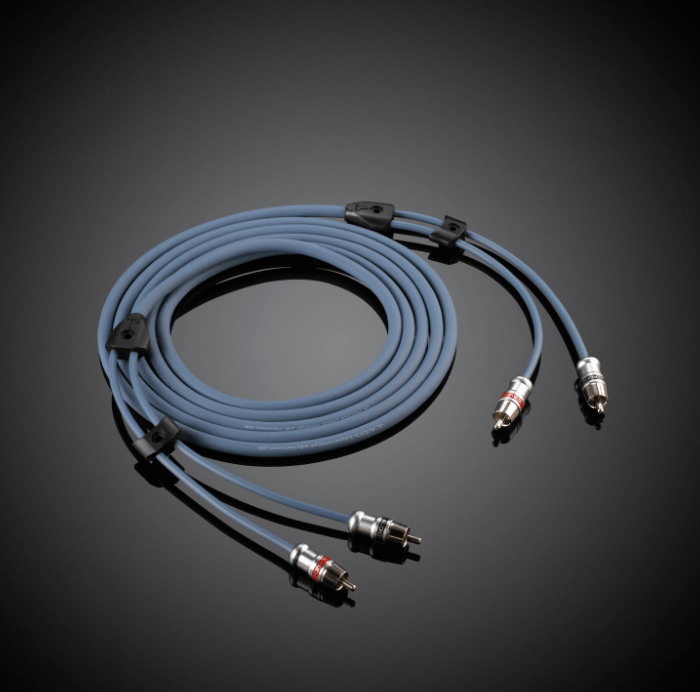 Screw-down points engineered into the channel splitters for a clean install. 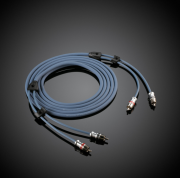 Overmolded strain relief system protects the silver-soldered connections and allows for exit flexibility. 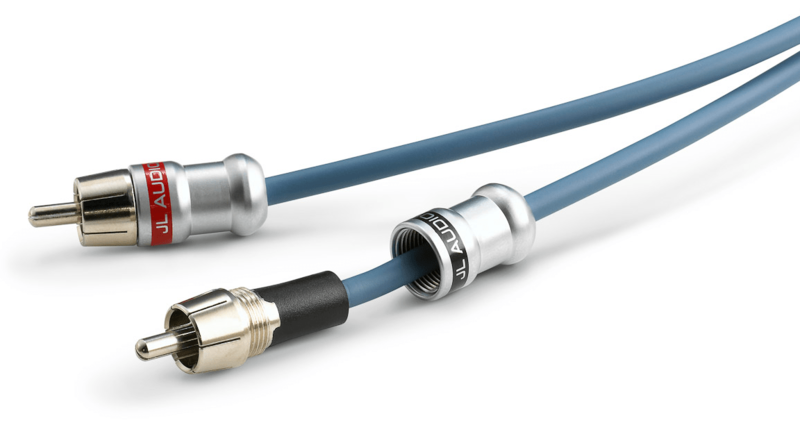 Machined brass connectors are compact for tight spaces.